Aired: Dec 22, 2016 to ? 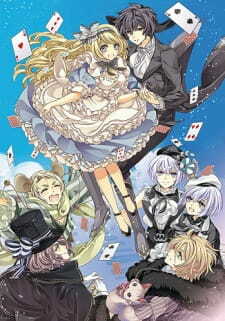 On the night of her birthday, Minase Arisa is inexplicably thrown into a Wonderland much like the one from Lewis Carroll's classic, a strange fairytale-like place that keeps repeating the same day over and over again. What's more, its inhabitants—each bearing an uncanny resemblance to someone whom Arisa knows in real life—insist that she is, in fact, their "Alice."